Ian Daffern is Open Book's 2011 Whazamo! Writer in Residence. Tell us about Freelance Blues. Freelance Blues is a comic about a guy named Lance who has a problem. Whenever he shows up to work, he finds out that his boss is a monster trying to take over the world. So he's got to save his co-workers, defeat his evil boss and get up tomorrow and find a new job, because for him, being a hero doesn't pay the bills. It's an episodic comic-book, where each issue is a complete adventure, exploring everything from homicidal call-center cults to blood-sucking pharmaceutical testing labs. At the end, it will answer why all this bad stuff keeps happening to him. It's a workplace misadventure about trying to find your place in the world really. Today's Whazamo comic comes from Tory Woollcott, a Toronto-based cartoonist who made her debut with the graphic memoir Mirror Mind: Growing up Dyslexic. Besides being well told, what made Mirror Mind stand out is that it is one of the first stories in any medium that really got across what dyslexia actually is, and how it affects those who struggle with it. Looking for David Collier at TCAF this year, I found him in a lecture room, drawing cartoons on a wipeboard. Not as part of session--but because “someone needed to fill up that empty space.” The same passion has driven Collier to fill notebooks and eventually the pages of comics and graphic novels since the mid-eighties, in autobiographical essays and other true-life tales. It's been an amazing month of literary comics here at Whazamo with each cartoonist bringing their own unique approach to the challenge of adapting or representing their chosen book. Of course we're not the first to mix mediums, there are many excellent examples of cartoonists who have been moved to turn prose into comics. Hyein Lee is an artist to watch. I met her on the indie-press circuit, a quiet kooky girl in ladybug shoes, selling prints of pastel monsters, bunnies and penguins, along with hand-made mini comics. But it was really a short-story that was published in Broken Pencil that caught my attention. You don't get a lot of comics about poetry, but that's just the kind of artist Marian Churchland is. Her first graphic novel Beast followed a sculptress struggling with the creative process, as she tries to complete the portrait of her shawdowy, and most probably, magical patron. 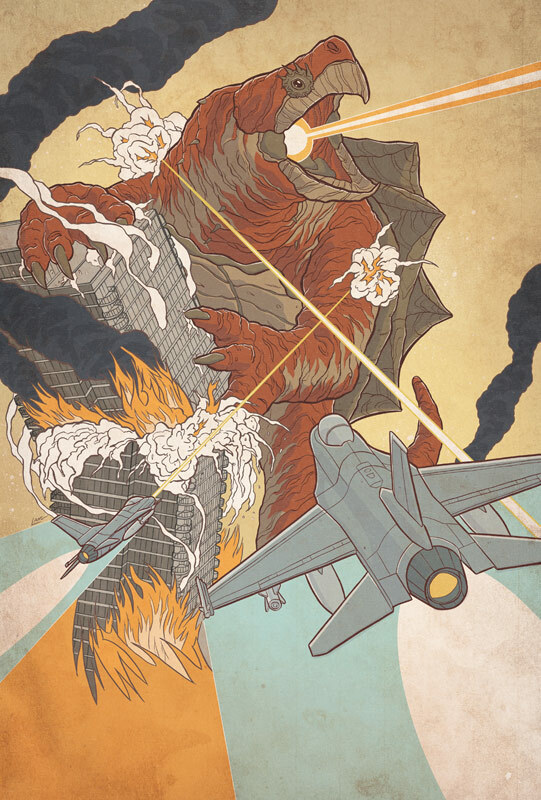 Cartoonist John Lang is equally at home with editorial assignments as rampaging monsters. Kalman is a comic book illustrator, and a concept designer for video games, television, those looking for imaginative fantasy or science fiction creations. He has a particular knack for the details that make a genre hero memorable. Storytelling is powerful. When I asked this week's illustrators to choose a book that inspired them, both went for a favourite from childhood. When else are you more easily pulled into the world between two covers? In Agnes Garbowska's case, a lot of that time was spent under the covers, terrifying herself with the stories of R.L. Stine's classic Goosebumps series. One of the best things about doing indie-comics is the different artists that you get to meet along the way. Charlene Chua was exhibiting the same year as me once at the Speakeasy Comic Book Show at the Gladstone hotel, a combination of art show and mixer. And mostly what caught my eye were her women. I met Michael Cho at one of the first TCAFs, where I picked up a tiny mini comic called Night Time. It made an impression; not just the art, but a first person voice that captured the thrill and freedom of being a teenager (it's kind of like Arcade Fire's 'The Suburbs' before 'The Suburbs'). Graphic vs Novels! Comics vs Books! It's amazing to be back for a 3rd year of Whazamo! here at Open Book: Toronto. The past year has seen comics crack end-of-year top-ten charts; become bestsellers, and appear on CBC Canada reads. Ontario publishers even started offering courses to help editors keep up with the whole books-with-pictures phenomenon! No Girls Allowed! Willow Dawson and Susan Hughes spin historical yarns in their graphic novel about women that dressed as men for fortune, fame and love. Follow the lives of women vikings, doctors, generals and soldiers from the age of Pharaohs to the Civil War. Artist and writer Lorenz Peter takes to the tracks to explain what the phenomenon of Dark Adaptation means, and why he named his seminal full-length graphic novel after it. Between bizarro animation and a strange encounter on the railways, Peter walks us through his creative process, a hardscrabble upbringing in a Northern Alberta oil town, and the oft painful affair of transmuting personal experience into art. It's Ontario Graphic Novel Month! Check out our Whazamo! page, an online comics celebration that showcases talented graphic novelists and illustrators. Let this video from last year's festival inspire you to head to the Toronto Reference Library on May 8th and 9th, 2010, for The Toronto Comics Art Festival. The festival features over 200 cartoonists who "convene to exhibit their art and book projects, to discuss and promote their work via panels and readings, and to interact with the public." This video of last year's TCAF was produced by Vepo Studios. In the second Open Bar, able drinker Ian Daffern talks to author Rebecca Rosenblum about her favourite Toronto patio, the Victory Cafe. In the second Open Bar, able drinker Ian Daffern talks to author Rebecca Rosenblum about her favourite Toronto patio, the Victory Cafe. Along the way hear how her short story collection Once got started, her undying love of bars, and the joys of being on your feet. Open Bar is a cocktail of photos and conversation from your favourite authors; serving up stories of their trusted locals for writing and relaxing; discussing their latest book or their drink of choice. When Whazamo was getting ready to launch, one of the first artists to get back to us was Jeff Lemire, an amazing Toronto cartoonist best known for Essex County, a haunting graphic novel series about life on a small town Ontario farm. Now he’s back with a whole slew of new projects, including The Nobody , an update on the Invisible Man, the trailer for which you can find here. Though we missed it during May, we knew we had to share it with you now—think of it as the Whazamo bonus track! Hometown: Brantford Ont. Although I’ve lived in Toronto since 1979. Toronto. What’s It About in a Nutshell: Visual narratives : the image as text. After a clerical error, a 13 year old girl gains a chance to go aboard the space shuttle. The space agency tries to make the pre-flight training ridiculously hard that she'll give up and they won't have to put a child into a dangerous situation. Ha! Good luck, space agency! What first inspired you to create comics or graphic novels? What’s It About in a Nutshell:The history of comics and graphic narrative in English Canada, with emphasis on comic books. What first inspired you to write about comics? I grew up in the 1950s, when comics were a mass medium – and a kid’s salvation. What’s It About in a Nutshell:A collection of comics, mostly poking fun at historical events and people. What first inspired you to create comics or graphic novels? It's just been something I've done for myself for a long time, and now for an audience. What for you makes a comic or graphic novel AWESOME!? Ah that is a hard question, I think it is different for every example. What’s It About in a Nutshell: A delusional house cat entertains notions of exploring outerspace (which is anything outside of his house) and fighting aliens (all flying insects) while secretly building a rocket ship in his litter box. Whazamo! Profiles looks at Kid Koala, who kicks off the TCAF celebrations tonight with his Loud Party. 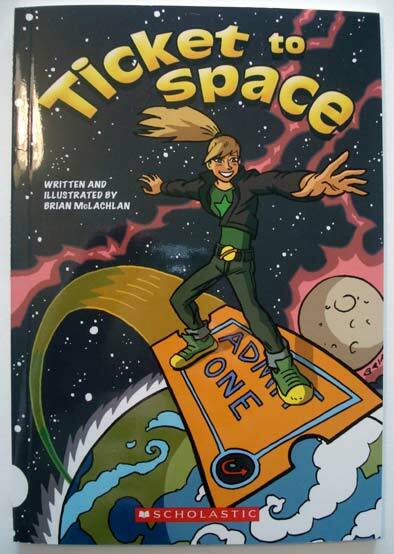 He's also about to release Space Cadet, a graphic novel told through 120 white-on-black etchings, about a a girl who was raised by a guardian robot, to become a famous space explorer. Find out more about Kid Koala's latest comics below! Hometown: Summerside, PEI but spent many years living in Ottawa. Role: writer / artist (sometimes publisher). Emily Horne and Joey Comeau, creators of A Softer World get stuck up a tree discussing what their highly popular web comic is all about. Ryan North guest stars in this preview for the full story of "The Making of A Softer World", coming later this week on Whazamo! Look for all 3 creators at the Toronto Comic Arts Festival this weekend. Whazamo! is a cavalcade of all that is excellent in Canadian comics and graphic novels, inspired by the Toronto Comic Arts Festival. Throughout May we will showcase comics by Ontario's independent book publishers, as well as present unique video and interview profiles of the best Canadian cartoonists in bookstores and on the web. Why comics for Open Book: Toronto? Why not! Toronto is a comic-book town.